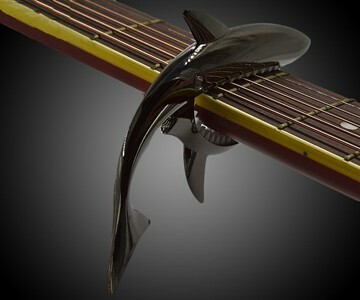 The Shark Guitar Capo takes shredding to new levels. 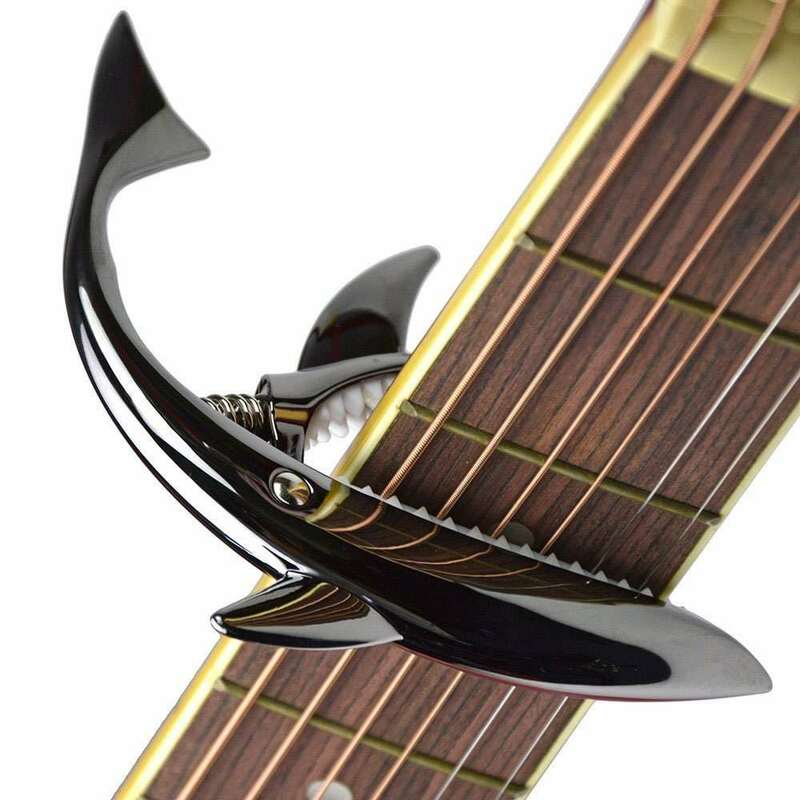 Maybe not Jaws Ukulele levels, but the fretboard clamp will add some personality to the instrument that, perhaps, the guitar player's rendition of "Maneater" cannot. Shark Guitar Capo makers say their zinc alloy tool will press evenly and consistently with each move and over the course of use, with "no weird sound or 'vibration' of the strings." You can use it on a 6-string acoustic or electric guitar. Or you can wrap it up as a gift for a musician. Orrrrr you can get it for your non-musical self and hold it in your hand like the dude in the image gallery above. 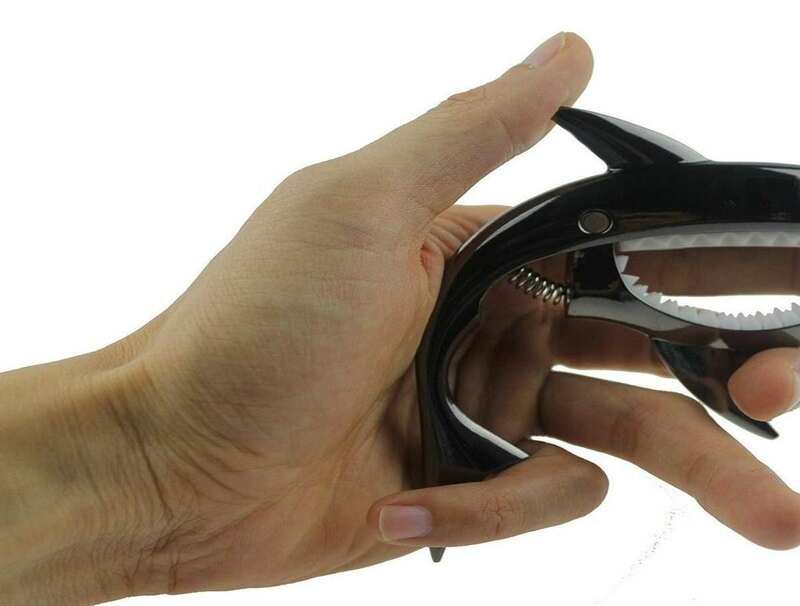 And then when your fiancee gets home you can flap the shark's jaw and follow her around the house humming the Jaws song.